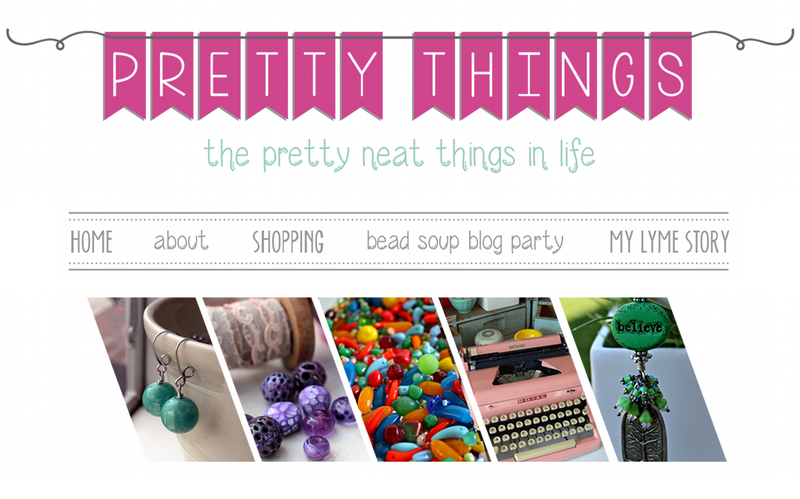 Pretty Things: Bead Soup Blog Party sign-ups just a few weeks away! 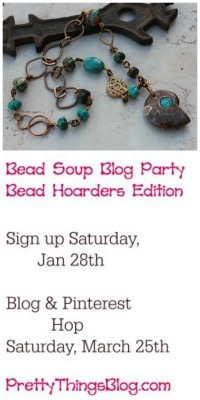 wow, how did it get to be time for round 5 of the Bead Soup Party so quickly..just a few weeks until signup! 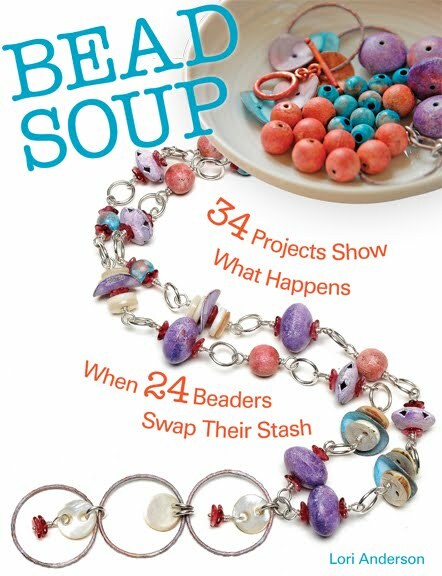 The last Bead Soup was amazing ( and Huge) but so much organizing and work for you,the lottery sounds like a good idea. Yippeee, I can't wait!!! Have a great holiday!!!! So exciting! And man does time positively fly. Seems like the last BSBP was just a few days ago. Yay, I hope to be able to finally do one of these! 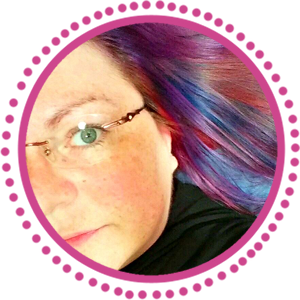 I just added the badge to my sidebar. Oh I wish had enough time to do it again. I have signed up for a year long stitching challenge and I don't dare add anything else or all will be lost. I will be checking in to see all the pretties though! crossing my fingers I'll be lucky enough to be picked !!! But no matter what, I'll be looking forward to the Fantabulous day of the Souper Reveals !!! I won't be able to sign up this time after all, as I no longer have reliable access to the internet, or my blog. Have fun. If i can, i'll try to hop on the 3rd. Oh I hope I make it. I didn't get to do the last one, so I am keeping my fingers crossed! I'm looking forward to it! I'm hoping this will kick-start my "creative juices". Too much life & not much creating makes for a dull girl!! cannot, cannot, cannot wait!!!!! eeeeeeeeeeeeeeeeeeeee!!!!!! I'm so excited, this would be my first bead soup. I hope I get in!! I can not wait! 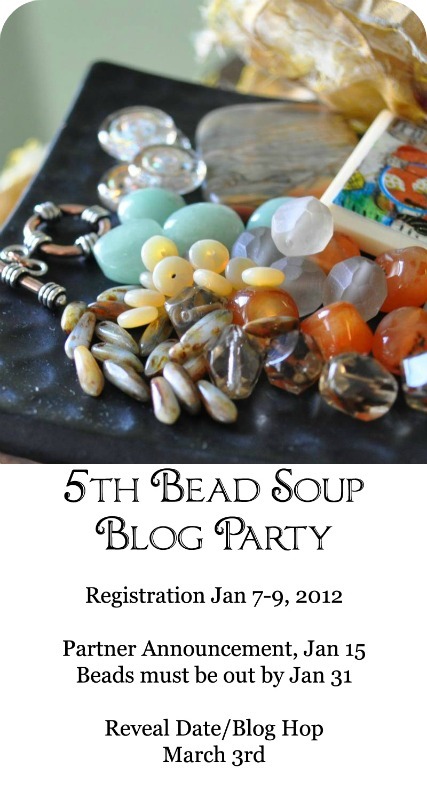 This would be my first bead soup and I so hope I get in!